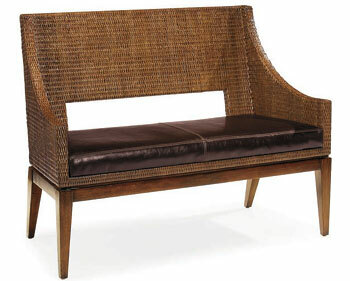 The luxe leather cushion and sloping sides of this high-back bench lend rattan, a normally casual material, a prim and proper aspect. But the rectangular cutout and slightly flared legs soften the formal silhouette, making the piece a riveting study in contrast and versatility. 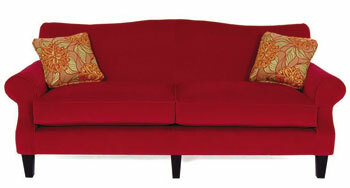 Trendsetter Todd Oldham has made his name creating lively, affordable furniture for eclectic modern spaces. 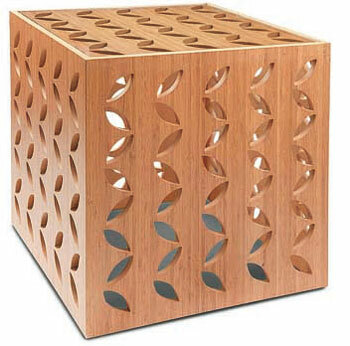 Now from Oldham, also the author of the new volume Handmade Modern, comes the Bamboo Leaf Cube bunching table, an eco-conscious cube constructed of carbonized and natural bamboo veneers. Handmade in Italy, the pieces are fabricated from maple and cathedral-cut walnut veneers. 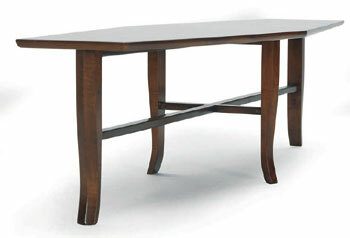 Cabriole legs and a striking crossbar base support the extra-long surface. Under the drop lid are four drawers and five open compartments for stationery and supplies‹so it’s a breeze to take note of your musings. Select hardwoods and veneers with brushed nickel hardware. A two-seat cushion and rolled arms follow the form’s traditional look while the dark Chicory finish on the square tapered legs gives the sofa a contemporary appeal. 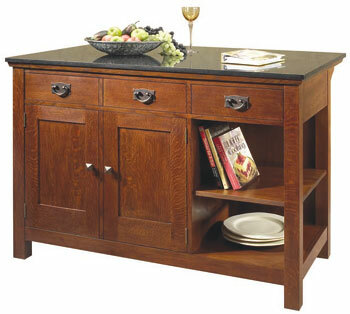 The generously scaled freestanding island has two drawers and open storage with two shelves on one end. 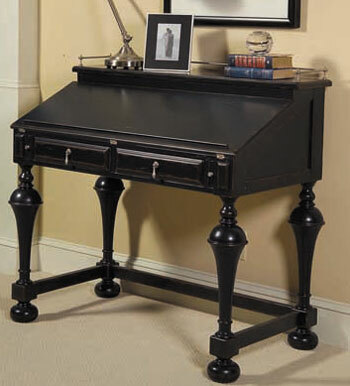 Shown in solid cherry with a black granite top. Mission kitchen island is a real beauty. 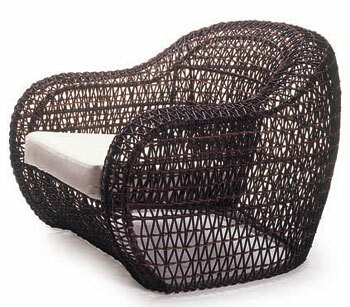 Fabricated from Hularo, a natural-looking synthetic fiber that’s then hand woven over a powder-coated steel frame, the smooth-to-the-touch armchair, shown here in Java, and other pieces, rebuff all kinds of threats—like ultraviolet rays, suntan lotion, even bacteria.